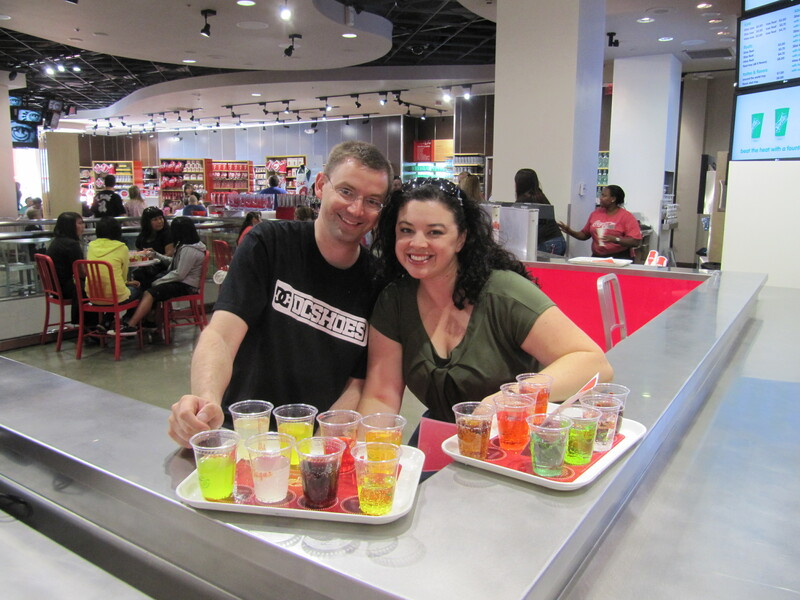 For our last day honeymooning we drove up to Vegas but more on that in a bit. 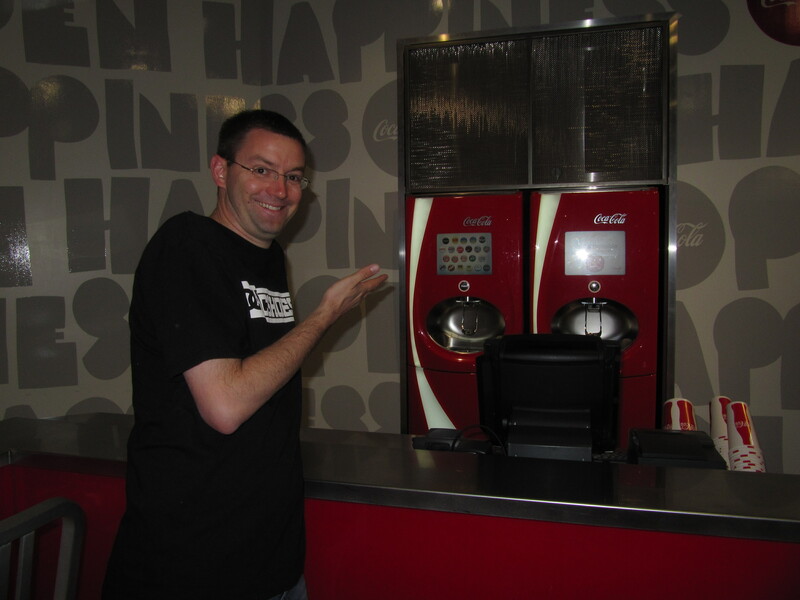 One of our first stops once we started exploring on the Vegas Strip was Coke World. 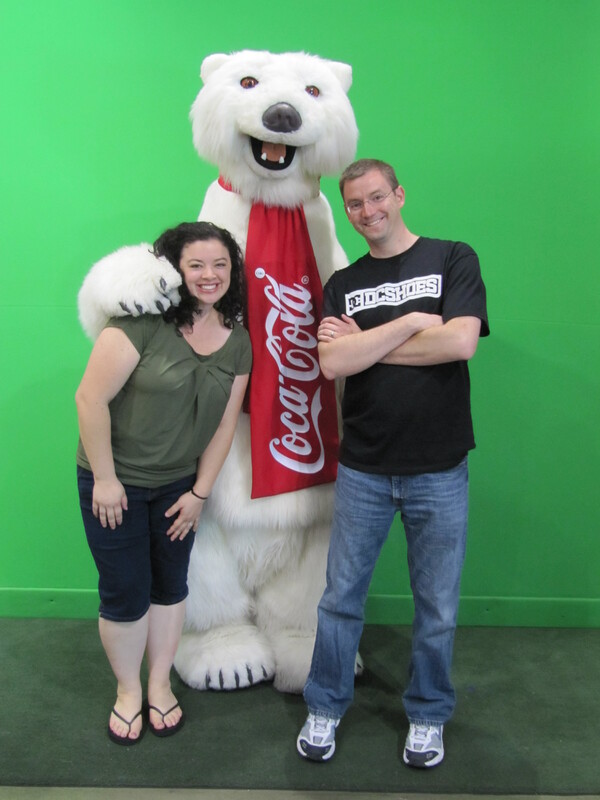 I didn’t want to tell the polar bear I’m actually a Pepsi fan. 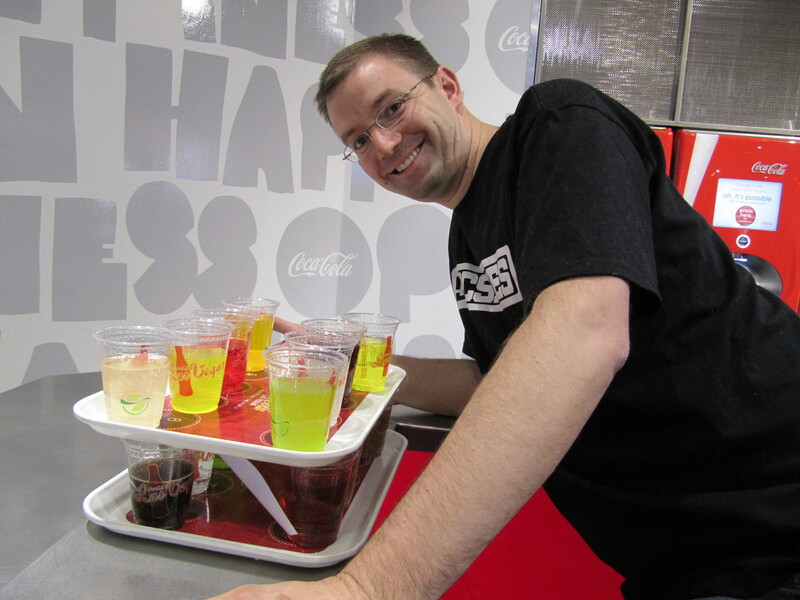 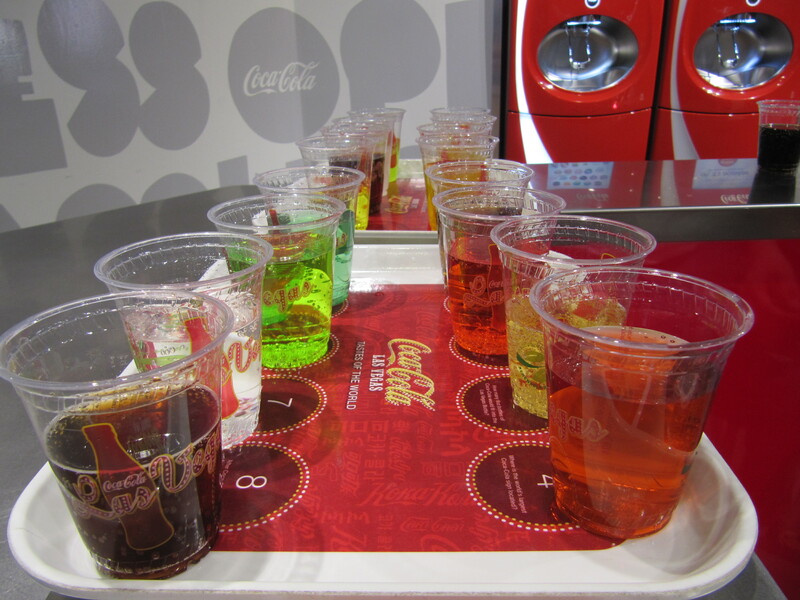 The best thing if you get to Coke World is they offer a flight of Coke from around the world. 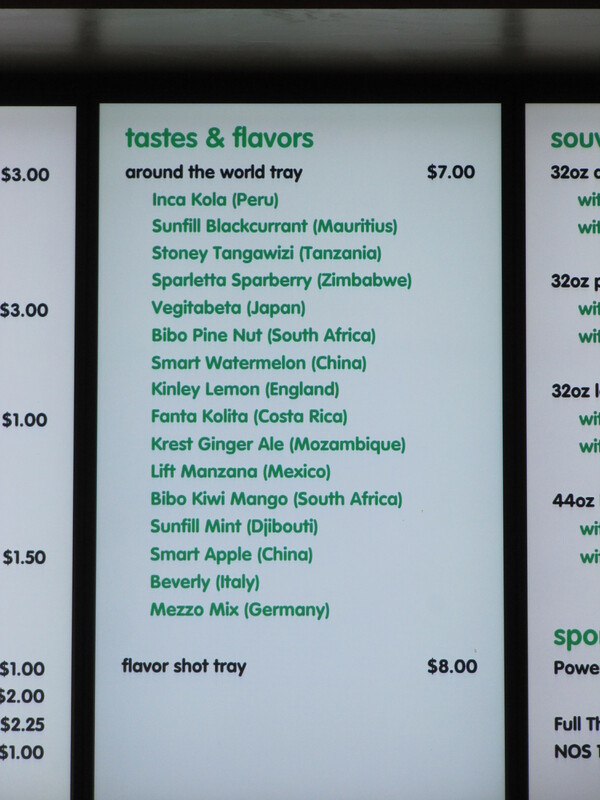 In order of personal preference I liked: Stoney Tangawizi from Tanzania, the Sunfill Blackcurrant from Mauritius, and the Inca Cola from Peru the most. 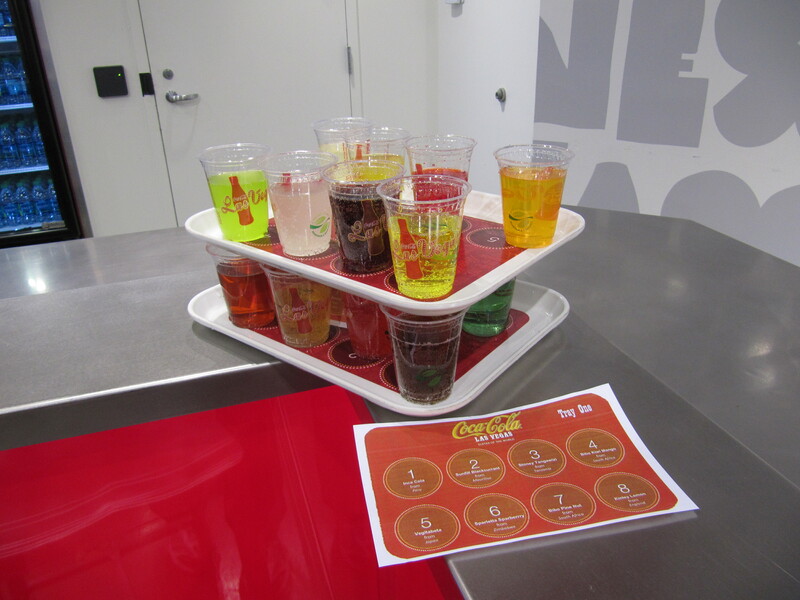 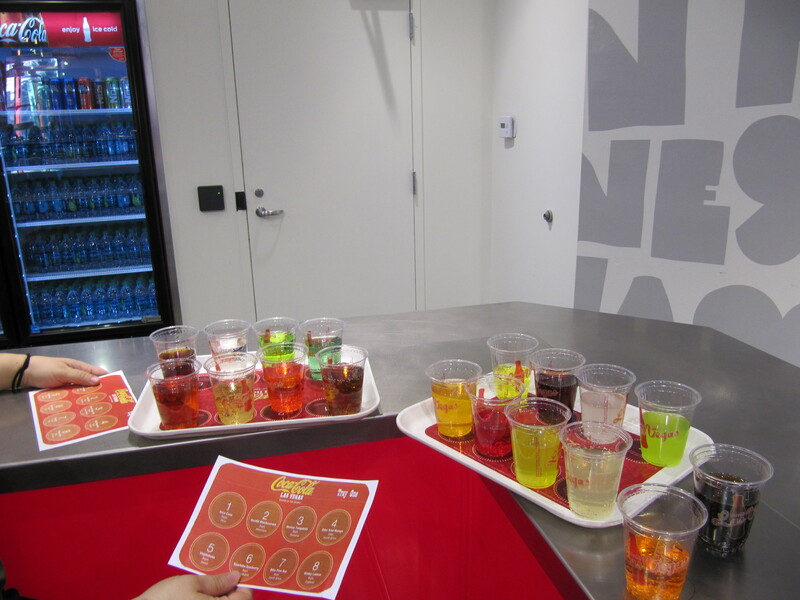 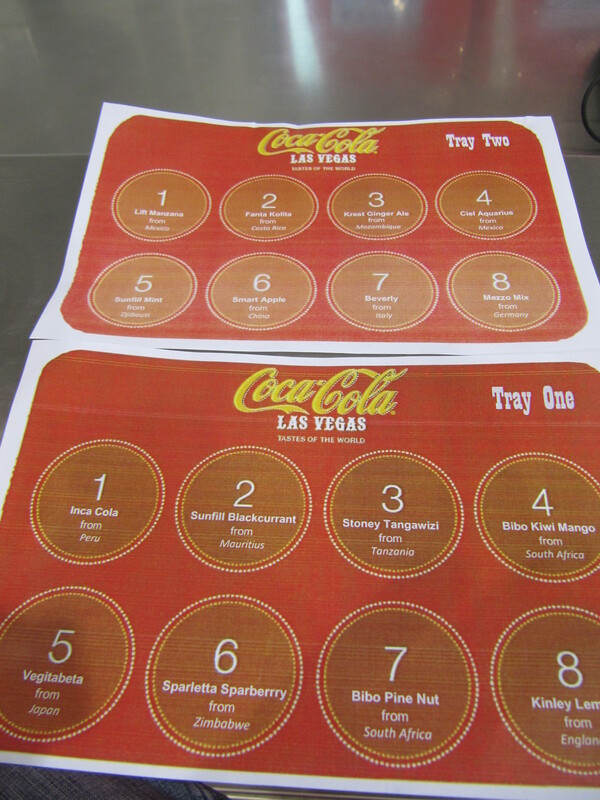 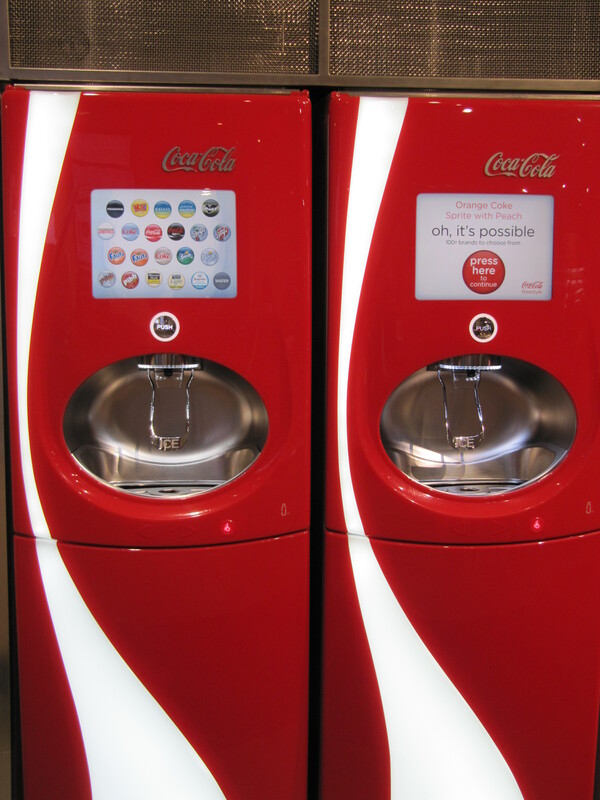 The manager of the store was super friendly and gave us some free samples from the new Coke machines coming to McDonalds, Wendy’s, and Five Guys. 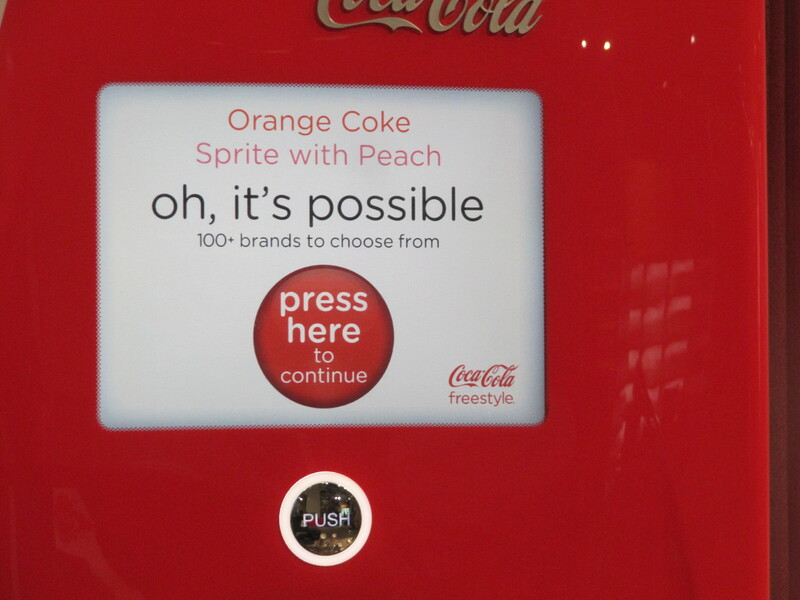 The Vanilla Coke and Orange Coke combined tastes like an orangesicle. 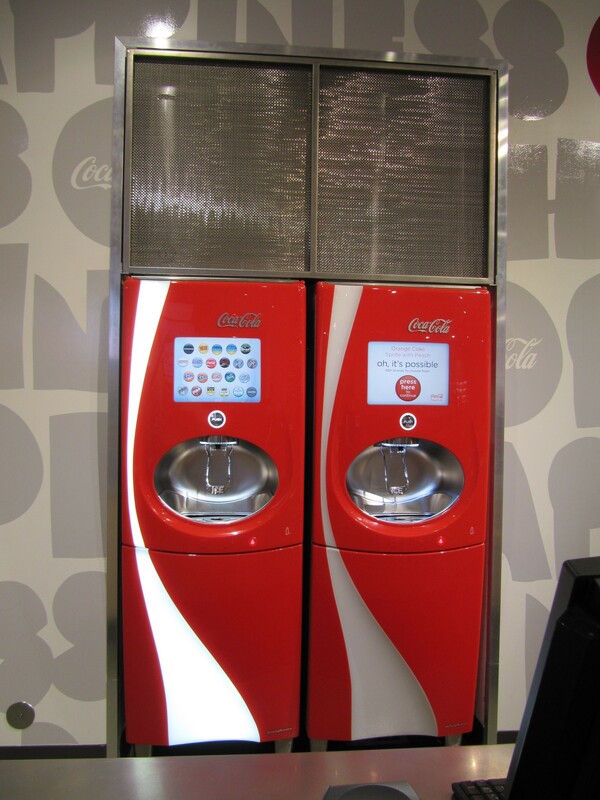 Definitely worth a stop if you are in the area.